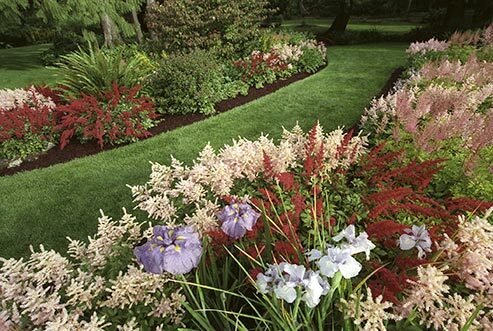 Lawn and landscape edging controls the spread of mulch, defines the edges of paths, and prevents the spread of plants. However, edging can also create extra work if it’s routinely damaged by mowing and trimming equipment. 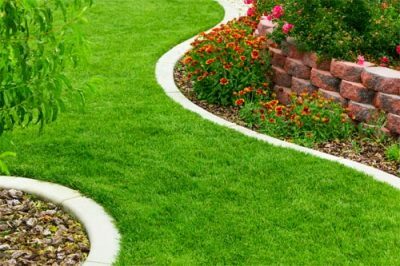 Metal and plastic edging materials are popular and affordable, but they aren’t the most durable options when it comes to using lawn equipment along the edges of beds and paths. 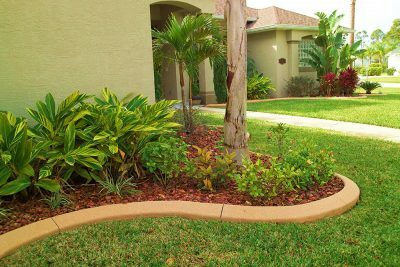 Reduce the amount of work and get a cleaner looking landscape by choosing an edging material that is resistant to mower damage. Using natural stone is an obvious choice when you’re looking for durability. However, not all stone types offer the same strength against a rogue mower blade, and some stones require sealing to prevent ice damage, which may occur if moisture soaks into the porous surface. In addition, these materials can be expensive and very heavy. The maintenance requirements are higher for natural stone curbs, but they won’t be damaged by lawn equipment and they’ll last decades with just annual care. Also, natural stones are very aesthetically pleasing and go with most design styles. Don’t overlook brick as a landscaping material that can handle the occasional run-in with part of your lawn equipment. There are softer and harder types of brick, so make sure you look for a very hard brick and coat with an appropriate sealant before or after installing it along the edges of your beds and paths. Landscaping bricks are often set further into the soil around the edges of beds. They can handle the weight of mower wheels pressing down on them, so setting them into the soil creates a neat path for mowing a clean edge. Natural stone can also be used this way, but damage from ice remains a concern. Curbs and edges that are poured in place with the right mix of concrete are some of the hardest, most durable, and longest lasting landscaping features that you can install. With creative concrete finishing options like stamping, dyeing, and texturing, you can get any look you want while still enjoying these benefits of concrete edging. Concrete is another material that can handle both a surface level and vertical installation without succumbing to damage from your common weed trimmers and lawn mowers. If the barrier is more than just a few inches high, then you may want to reinforce it with rebar or concrete mesh to further prevent any chance of cracking or chipping. Of course, pouring concrete requires the coordination of mixing equipment and forms, along with curing blankets and more. Pre-cast concrete blocks are an option that requires less equipment. They also work for edging around paths and beds, especially when they’re designed with resilience against damage in mind. These pre-cast blocks tend to come in uniform interlocking shapes for fast installation and a neater appearance. However, you can also find blocks that aim to mimic nature with more randomized shapes, textures, and edges. These stone or wood style designs usually cost more and have a greater likelihood of allowing weeds to grow in the gaps between them. Using weed fabric, or at least a layer of gravel under the blocks can prevent this problem. Most styles of stone, brick, or concrete pavers double as durable edging when buried along the sides of different landscaping zones. Pavers are most commonly used to create mowing strips, but they’re also combined with curbs for a smoother transition between two areas. When you use the same pavers for paths and edging, it can tie the landscape together visually as well. If you’re ready to choose your favorite landscape curbing material and arrange for installation on your property? 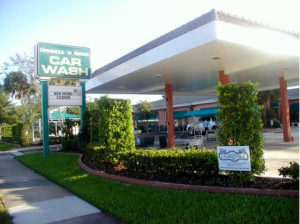 Contact us today here at Daytona Classic Curbs, Inc. to get your project started.